She was the daughter of Thomas N. Falkner and Amanda E. Champion. She was the daughter of John A. "Jack" Falkner and Isadora W. Belcher. Birth*: Maggie Mae Falkner was born on 12 June 1885 at Vance Co., NC. Birth*: Male Falkner was born circa 1806 at NC. Birth*: Male Falkner was born circa 1810 at NC. Birth*: Male Falkner was born circa 1818 at NC. Birth*: Male Falkner was born circa 1821 at NC. Birth*: Male Falkner was born circa 1823 at NC. Birth*: Male Falkner was born circa 1825 at NC. Birth*: Male Falkner was born circa 1826 at NC. She was the daughter of James Falkner and Bedey Matterson. Death*: Malinda Falkner died before 1900 at NC . [S65] 1850 Granville Co., N.C. Census, pg 152. [S22] Brent H. Holcomb, Marriages of Granville Co., N.C. 1753-1868, pg 262. [S249] Unknown compiler, "Traveller southern Families WWWBoard by J. Daniel Mahar", Ancestral File. [S68] 1870 Granville Co., N.C. Census, pg 358. Birth*: Marcullis Falkner was born circa 1790 at NC. Marriage*: Marcullis Falkner married Winny Davis on 30 March 1814 at Wake Co., NC; In Wake Co., N.C., Murcellus Falkner married Winny Davis on 30 Mar 1814. 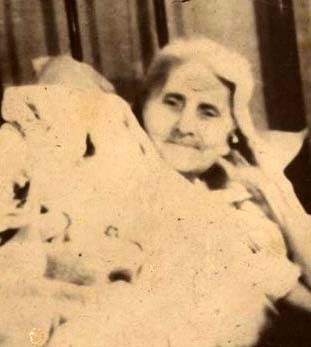 Birth*: Margaret Falkner was born circa 1817 at Warren Co., NC. [S206] David B. Gammon, Records of Estates Warren Co., North Carolina 1852-1868, pg 75. [S206] David B. Gammon, Records of Estates Warren Co., North Carolina 1852-1868. Marriage*: Margaret Falkner married an unknown person ; Married by Rev. Samuel Wilson, Cumberland Co., Pa; From Pennsylvania Vital Records vol I, pg 643. Birth*: She was born circa 1773. Marriage*: She married William Leecock on 30 May 1793 at Cumberland Co., Pa. Birth*: Margaret Falkner was born circa 1854 at NC. [S522] The Daily Dispatch, 4 Oct 2007.